We support a large range of McAfee suite products. These include SIEM, EPO, HDLP, AC-CC, and HIPS. Our certified technicians can assist your business to grow. A high-performance, powerful Security Information and Event Management (SIEM) solution brings event, threat, and risk data together to provide strong security intelligence, rapid incident response, seamless log management, and compliance reporting—delivering the context required for adaptive security risk management. Ingenium can assist you with management, maintenance or implementation. McAfee EPO is a powerful tool used in to manage all security incidents from one console. Get a unified view of your security posture with drag-and-drop dashboards that provide security intelligence across endpoints, data, mobile and networks. 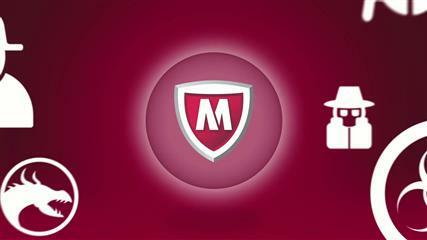 McAfee HIPS provides critical intrusion prevention for your computer. Three layers of protection prevent intrusions, protect assets, and defend against known and emerging exploits, including zero-day attacks. McAfee Data Loss Prevention (DLP) Endpoint 10.0 safeguards intellectual property and ensures compliance by protecting sensitive data such as PCI, PII, and PHI wherever it lives—on premises, in the cloud, or at the endpoints. With our experienced technicians, your data is in safe hands. This product allows the user to mitigate the risks presented by applications, by limiting the applications functionalities to be managed by administrators only. Ingenium has a team of engineers, with enough experience to see any project to fruition.